Sensei Chancel Michel has founded French Oyama Karate Association (Association Francaise d’Oyama-Karate) with its headquarters in Strasburg. 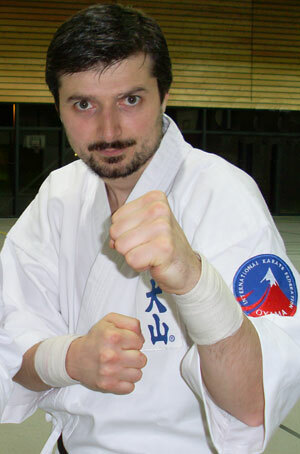 At the same time, Sensei Michel has become the branch representative of OYAMA IKF in France. His 25 years of karate experience started with Shotokan style and Kyokushinkai in Russia. Then, he was practising Oyama karate, he took part in many trainings and competitions. He was the representative of Oyama Karate in Chechnya and Ingushetya. Due to the war in Caucasus, he has emigrated to France. Sensei Michel is 42 years old, he is the graduate of Institute of the Petrochemical Industry. He is married and he has got three children. 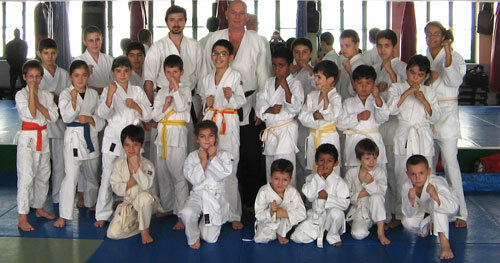 Good luck in popularization of Oyama karate in France, OSU !